Adjusting for changing lane conditions is a skill that bowlers can learn after developing a consistent shot. It is a skill anyone can learn. But, how long it takes to learn, depends on bowling frequency and number of different patterns you bowl on. This is one reason the bowlers who bowl most often are the best at adjusting for changing lane conditions. I personally have cut my bowling down to practice two days a week and bowling regularly two days a week. So, I have two different days to read the lanes and adjust to the league conditions.This makes it a bit harder for me to figure out the correct adjustment.Sometimes, I don’t find the perfect adjustment, but I most often help improve my score. This adjustment can vary with the number of bowlers, different houses or even the weather temperature and humidity. I can say that for bowlers who only bowl once in awhile, it is likely not even considered as a reason for their bowling performance. Now league bowlers are not usually provided this information. But if you bowl in tournaments you have likely seen these charts. In today’s bowling the sport shot is becoming a popular type of bowling for advanced players. This type of shot is a variety of shots ranging from oily to dry conditions, longer oil patterns as well as shorter patterns.The difficulty of the sport shot almost always lowers most bowlers average because of the challenging adjustments required by the bowlers. I have bowled on a few sport shot patterns and I find it to be too frustrating at times.But, it does help to equalize the playing field for average bowlers playing against higher skilled bowlers. I am aiming this article at bowlers who throw a hook ball.The straight ball bowlers will not notice the changing lane conditions as profoundly as hook ball bowlers. When the straight ball is thrown it is not required to have friction or oil to be effective. That means the current oil condition has less effect on the path of the ball. But the hook bowler needs to get a feel for the oil conditions. He needs to read the ball reaction to allow for the best angle for strikes. Too much oil and he slides past the pocket. Less oil and he comes up too high and gets more splits. Strikes are the name of the game and the person who gets one more than his opponent wins! Of course all spares must be made as well, and the less nasty splits you leave, the better! So, the better a person reads how the ball is rolling down the lane and reacting, the more information he is going to have to help with adjustments on the lane. As we bowl in leagues, we are constantly removing oil and making the lanes drier and drier. Then, it only makes sense that as we get to the later frames in the 2nd and 3rd games, the ball will generally hook more. I say generally the ball will hook more but not always. This can vary depending on the types of bowlers who are bowling on the lanes on the same nights that you bowl. If you have a night with bowlers who throw a big hook, and both of you are right handed, it could cause problems. You may notice that later in the games you ball stops hooking, when you are expecting it to hook more. Here are some possible solutions to what may be happening to you. 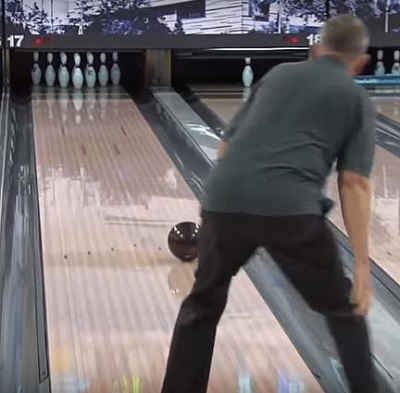 This could be caused by the big hook bowler picking up the heavy amounts of oil in the center of the lane and carrying it down and pushing it onto you break-point on the lane. This is causing your ball to skid more than normal. Now, if you have wondered about this, then next time you bowl against these guys, try a stronger ball, or make a move right to allow you ball to get to the pocket sooner. Another trick is to get your ball cleaner out and using an approved cleaner, remove the oil build-up on your ball.That should help to give the ball a chance to absorb more oil and grab the lane better for more hook.And as long as it is an approved cleaner, you can do this every frame if you have to until you achieve the desired results, or the bowling is finished. Try an easier way to deep clean your bowling ball- Check this Out! When you are on a lane with a lot of bowlers that are using the same line say 2nd arrow, you may have to move your line to get a better line with your ball.What generally happens here is the ball seems to just hook harder and harder, coming up higher and higher on each shot.You can find more tips in this article Dry Lane Bowling. My move would be to try to get the ball farther down the lane, giving it less lane to react to.I mean similar to lofting the ball out on the lane, without imparting any additional hook on the ball. Sometimes I accomplish this by simply looking farther down the lane. If you target the row of dots before the arrows, then simply look out past the dots, say 6 inches or a foot. If this isn’t enough, I will look at the arrows themselves, and at the spot/board where I want the path of the ball to go over them. This is a great trick to remember on dry lanes if you use the dots to bowl. It still amazes me how well that works at times, and it is such a simple adjustment. However, sometimes this doesn’t create the desired effect, or you can’t hit the arrows as precisely as you want. Once again,for a drier condition, you could try a ball that hooks less. If you have a ball with a 2000 grit surface, and you have been using a 1500 grit surface, it may be the answer for you. 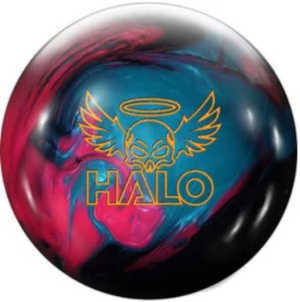 Check out some great bowling ball prices here. Or you might try a lateral movement on the lanes, trying to keep the break-point the same. Or maybe just move one board with your feet and leave the target board the same.That means you will have changed the path of the ball slightly to the pocket and may allow you to continue to carry all ten pins. All this being said, be sure that your ball is hitting the same line consistently.Making a move, when you made a bad shot will do more harm than good. You may then be totally confused when the ball doesn’t react as you expect, simply because you didn’t need to move. Be honest with yourself. If you aren’t sure, ask your team members to watch your line and tell you what they think.Did you get the same turn on the ball each throw, hit the same mark and follow the same line? Your ball speed also comes into play here as well. I have noticed as I get older I tend to slow down slightly each game.If your bowling center has a speed indicator, then use it to keep yourself on track. Check your speed and keep it consistent. Some bowling centers don’t have speed indicators, so you might have to ask others to watch you. Bowling in a bowling center that is very crowded, causes the indoor temperature to be higher than normal. This will also cause the lanes to break-down faster. And inversely centers that are cool will likely hold an oil pattern longer. High humidity can affect the lanes to make them feel different as well. 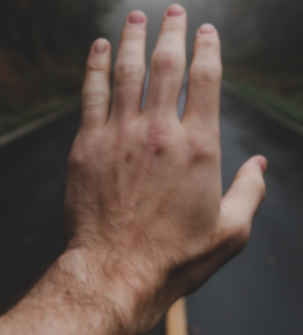 I have always felt high humidity and rainy days make the lanes feel oily to me.Sometimes, others may think just the opposite.I doesn’t mean they are wrong, go by what your ball is telling you.Maybe there is an air conditioning vent blowing air onto some lanes and not others. You have to adjust to your own lane,by reading your own ball. Cold weather, and snowy days always felt the same way to me, more oily. Once again heating systems do affect the lanes.They can spot dry the lanes and create all kinds of havoc on your bowling game. The lanes could start out oily, but break down quicker than normal. Also, wet coats and snowy boots can raise the humidity as well.And all the snow being tracked into the bowling center adds more humidity as well. I have more adjustments in the articles Bowling Tips and Tricks and Advanced Tips and Techniques. Sometimes, you might be having a bad night. You could be making bad throws and shots you don’t normally make. Do not make adjustments on what the ball did when you make a bad shot. You will soon find yourself completely lost and having to start over on your position and bowling line. Do you just want to read a book on bowling and study it at home? Check out, Improve Bowling and you might just find some more hints on improving your game. If you have any tips, techniques, or suggestions that you use and would like to share, please leave them below.